Africa is a beautiful continent full of animals, mountains, deserts, rain forests, lakes and wonderful people. 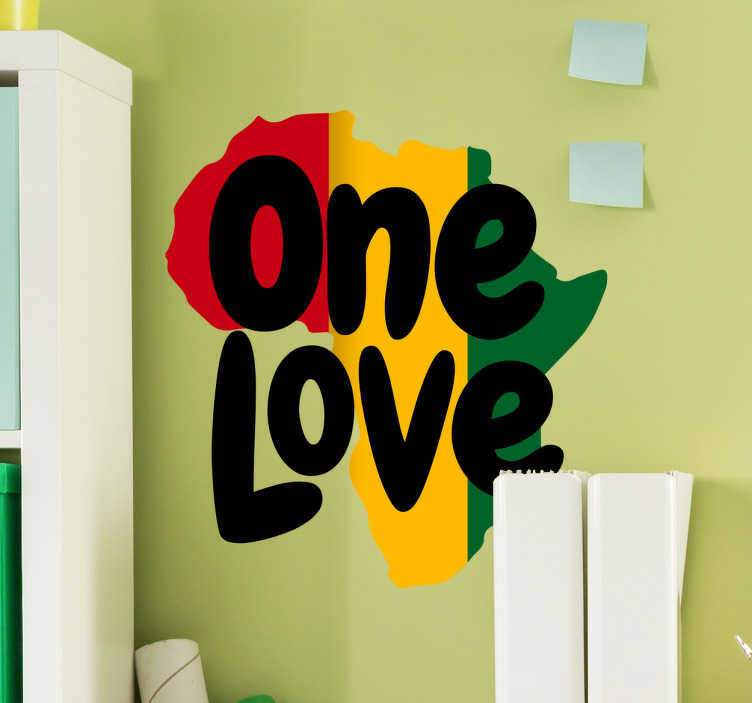 Show your love for Africa with this wall sticker. This Bob Marley inspired theme looks to encourage peace and love in a war torn continent. This sticker consists of the outline of Africa, filled in with the colours of Jamaica and the words one love. Decorate your bedroom, living room or business with this wall sticker.